With 12,000 visitors, 800+ exhibitors, 55+ learning zone sessions and 3 days of exciting events, it can only be the APTA Expo. This transit mega-event that takes place every three years is being hosted in Atlanta from the 7th to the 11th of October. This year’s keynotes feature a variety of speakers including US Secretary of Transportation Elaine Chao and MIT AgeLab’s Joseph Coughlin. Not only that, but there will be a variety of presentations about topics ranging from procurement and innovation to emergency management. These sessions and keynotes will take place throughout the conference and should not be missed if you’re looking for insights into the latest industry trends and themes. The APTA programme can be found here. 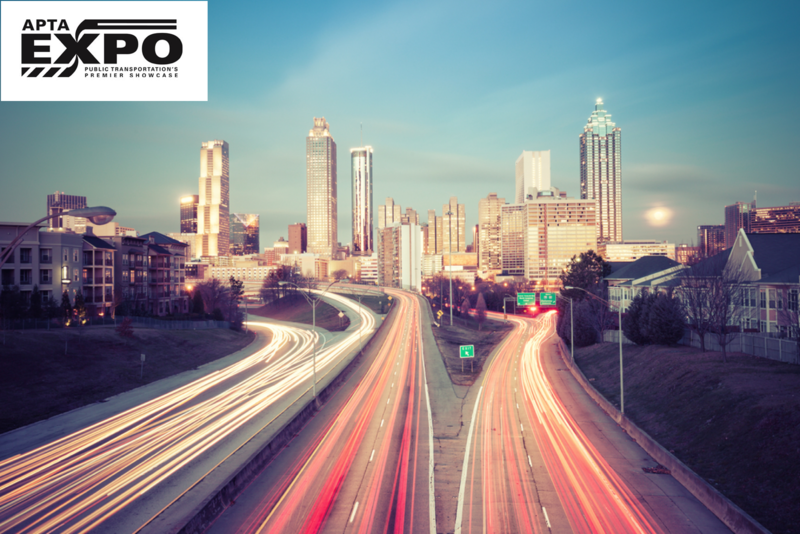 This year, the APTA Expo is taking place in Atlanta, GA and will be hosted by the Metropolitan Atlanta Rapid Transit Authority (MARTA). The agency will be offering a variety of technical tours including a ride on the Atlanta Streetcar Economic Development tour, walkthroughs of its Brady Mobility (Paratransit) Facility, tours of the bikeshare system and more. It will provide an exciting look at the inner workings of a major transit system. There will be seven learning zones set up around the convention center, offering free workshops and presentations from a variety of industry experts and EXPO exhibitors. Sessions will cover a range of topics including autonomous vehicles, fleet maintenance, transit innovation, safety and security, fare systems and more. What are some of the stand-out sessions that we’re excited to check out? ‘Mobility in the Future: Connected, Shared, Autonomous’ presented by AECOM, ‘An Overview of International Transit Market Trends’ presented by UTIP and ‘Public Transit as Mobility Manager: How to Cover the First & Last Mile’ presented by GIRO Inc.
And don’t miss our session - Innovations in Fare Collection: Procurement, Mobile Ticketing Approaches, System Renewal or Replacement - hosted by our very own Doug Thomas, taking place on 10/9 at 3:15pm at the Innovations Learning Zone, Booth 4161 in Hall B.
We’ve been working on a lot of new things and, while we can’t share the details with you just yet, we promise to announce them at the Expo. Be sure to stop by our booth (#3333 hall b) to demo our latest technology innovations and try the Justride Platform for yourself. Transit, North America’s most popular public transport app, will also be at the Masabi booth for the duration of the Expo, so pop by and learn more about what they are doing with us (and on their own) to make riding public transit even easier. Attending the APTA Expo this year? We’d be delighted to meet with you at our booth and show you a live demo of our technology. To set up a time to meet with our team, contact us here.